Travelling Greece and the Greek islands is best done by yacht, and indeed a ferry won't do. 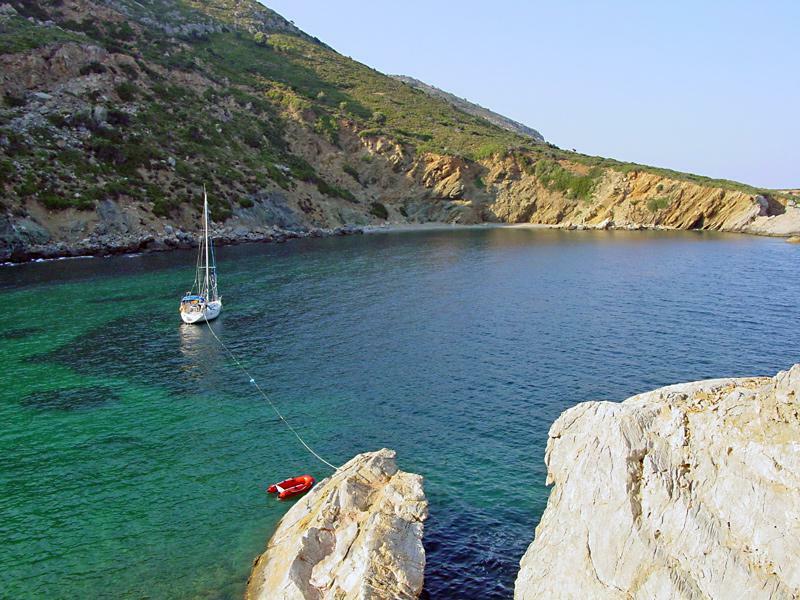 With your own bareboat sailing yacht or your private crewed yacht charter you can anchor in secluded bay of the island drinking your cocktail while looking at the castle or ancient Greek temple that overlooks your bay. Typically, the ferry docks at the main port and from there, you would have had to take busses and walk a good deal in order to reach that same bay. And travelling in Greece should be fun of course. Moreover, many of these archaeological sites are open for public and not completely rebuilt and therefore inaccessible for travellers, on the islands you are able to wander around through the ruins and since you will be the only ones image yourself as an ancient Greek! The more luxurious way of exploring Greece by sea (the proper way) is by gulet charter or blue cruise. These are primarily offered in the southeast Aegean and along the Turkish coasts that were once occupied by the ancient Greeks. Make sure you go for a full gulet charter or private gulet charter instead of a cabin charter, definitely the best way to be travelling Greece in total luxury!